A chic cane suitable for everyday use and smart occasions, the Twinkle derby has an engraved pattern on the upper section of the height-adjustable shaft. The pattern catches the light and twinkles prettily. The cane is fitted with a supportive derby handle in black and a non-slip black rubber ferrule. Ferrule diameter 16mm. 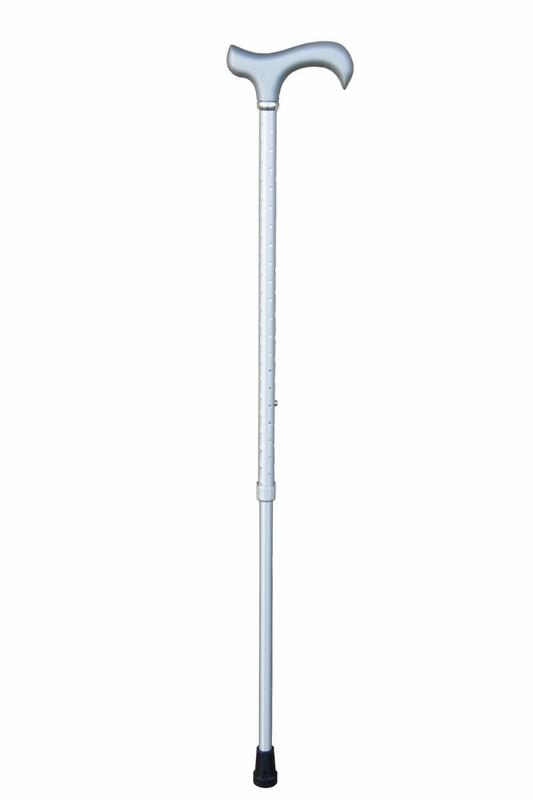 The height is adjustable from 71 to 93cm, with an additional short setting of 61cm (24") so the cane can be contracted for packing into a suitcase or similar.